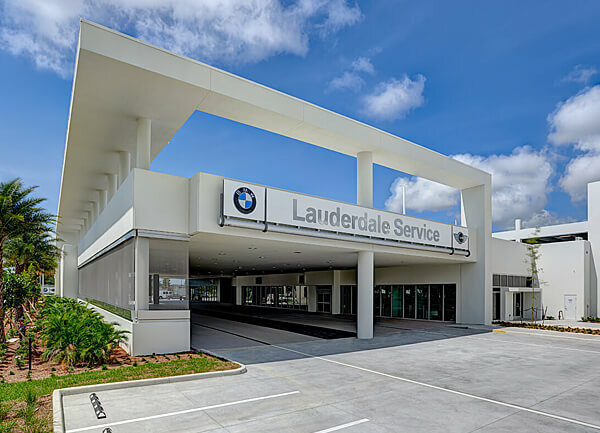 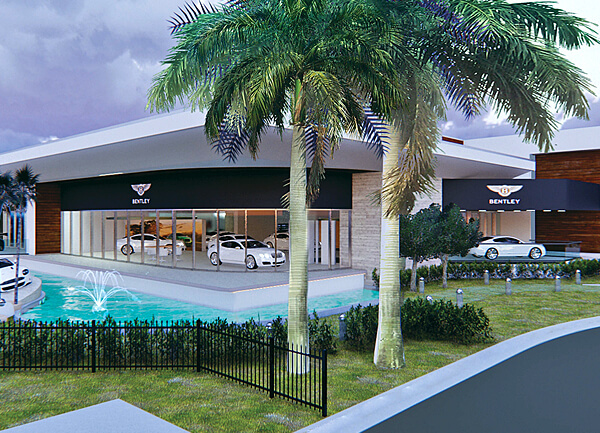 Miller fast-tracked this complex renovation, on the high-profile site, just south of Downtown Fort Lauderdale. 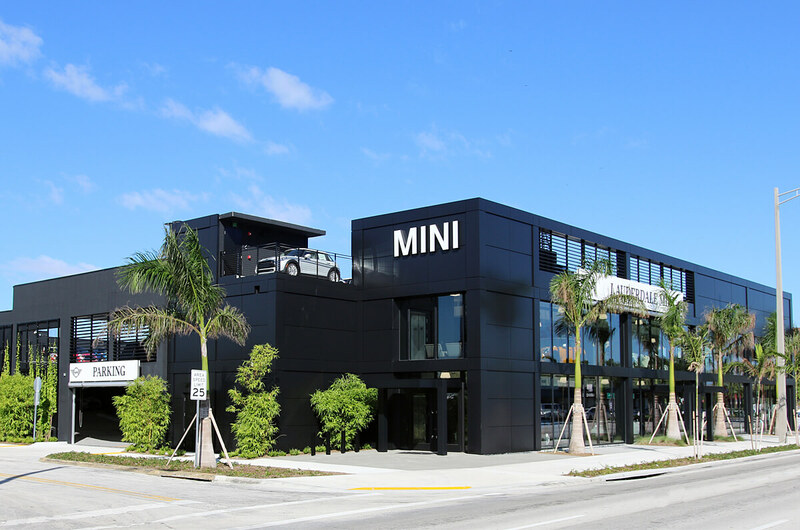 With a dramatic black metal-clad exterior that reflects MINI’s branded design look, the dealership includes a two-story showroom and three-story parking garage. 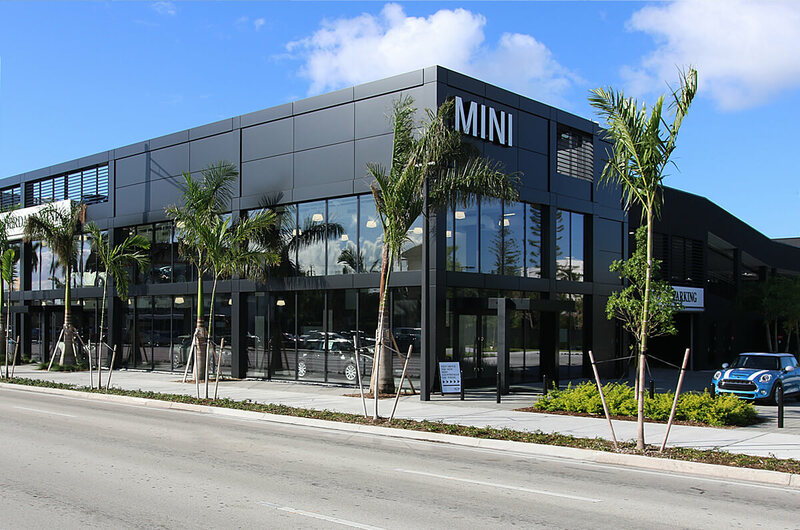 The building also features MINI’s international brand standards, including exposed duct and mechanical, electrical and plumbing piping for a contemporary look. 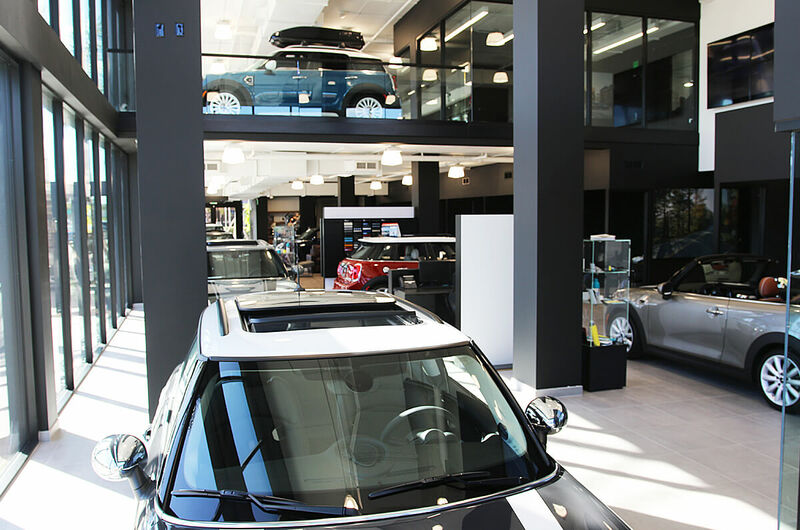 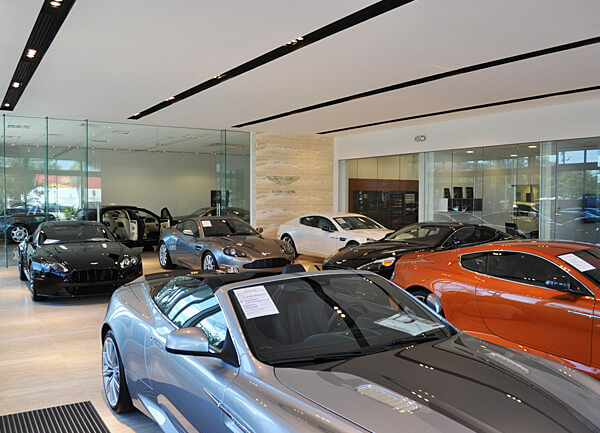 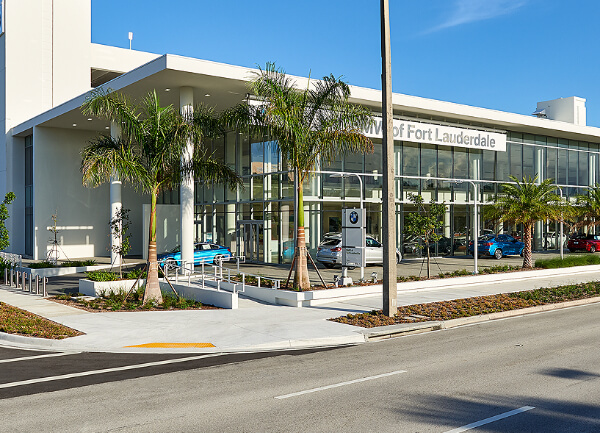 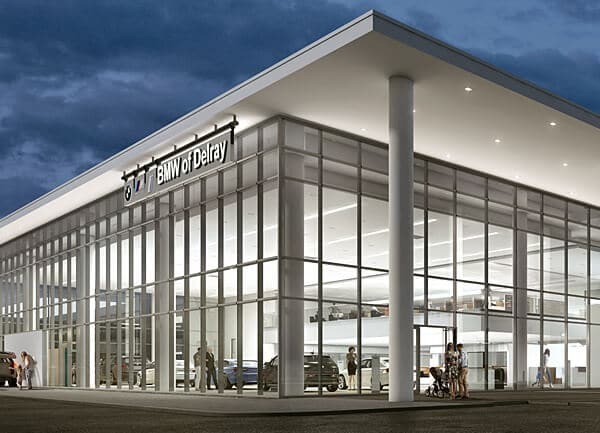 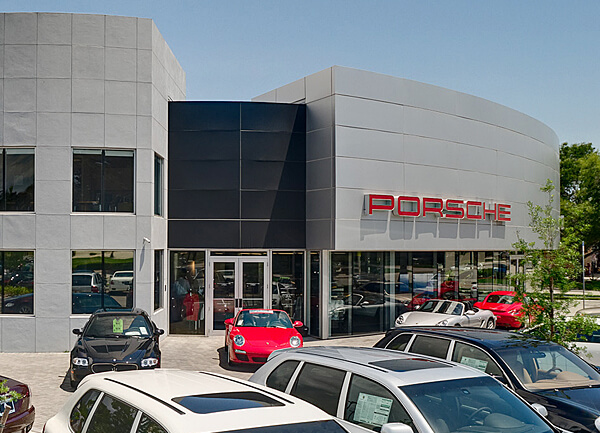 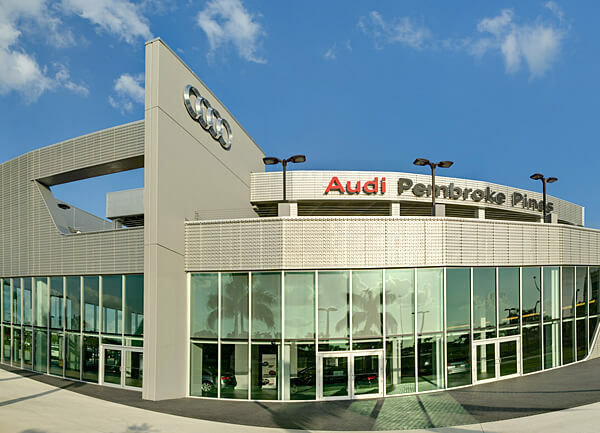 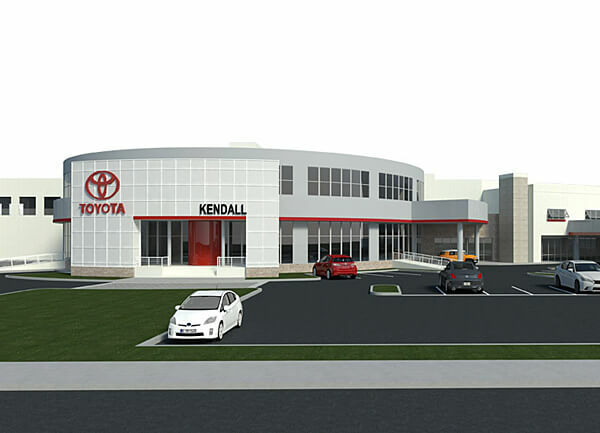 In addition to the showroom areas for new and used cars, the structure includes customer lounge areas, open sales offices and an all-glass new vehicle handover room on the second floor. 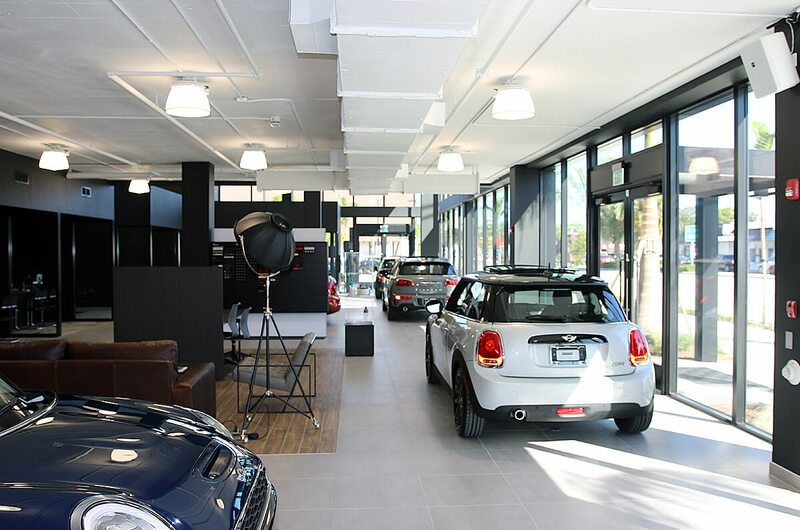 The garage’s below-ground level includes detail bays, and its street level has a clinker-tile drive aisle.